We proudly use GAF Shingles. GAF Shingles are weather tested and they deliver! Offering quality roofing services using top notch Owens Corning materials. 24 Hour Emergency Services - Storms come with little notice. Most serious storms damage your roof even if only in a minor way. These small damages can eventually lead to roof leaks. In extreme cases, entire re roofing options may be needed. Gibbs Roofing and Remodeling knows how hard it can be to navigate filing an insurance claim. We will assist you and even provide direct links to top insurance companies. 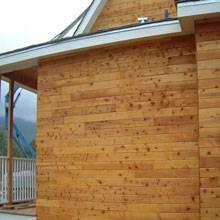 Gibbs Roofing and Remodeling offers a large variety of residential siding options. Welcome to Gibbs Roofing and Remodeling, New England's Premier Roofing and Remodeling Contractor with over 50 year of experience in residential and commercial projects offering North America's #1-Selling Roofing Products. Gibbs Roofing was founded in 1950 by Milton Gibbs. The Gibbs owned and operated Gibbs Roofing, until 1990 when ownership was transferred to his son Daniel Gibbs. Under the leadership of the Daniel Gibbs Sr., Gibbs Roofing added a remodeling department and became Gibbs Roofing and Remodeling. 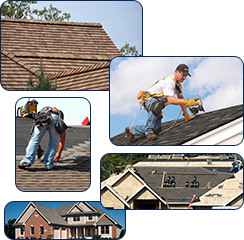 Gibbs Roofing and Remodeling Features and Installs Roofing Products from these Well-Known Manufactures. Complete this form to request a quote | A representative from Gibbs Roofing and Remodeling will respond within 24 hours. Thank you for contacting Gibbs Roofing and Remodeling, a representative will contact you shortly.